We BOOd the neighbors successfully, and since I had a couple of extra treats, I decided to take them to work and start BOOing people there. Last Wednesday, I BOOd 2 people, then was out of the office from Wednesday afternoon through this morning. That’s two full days that I was out of the office. 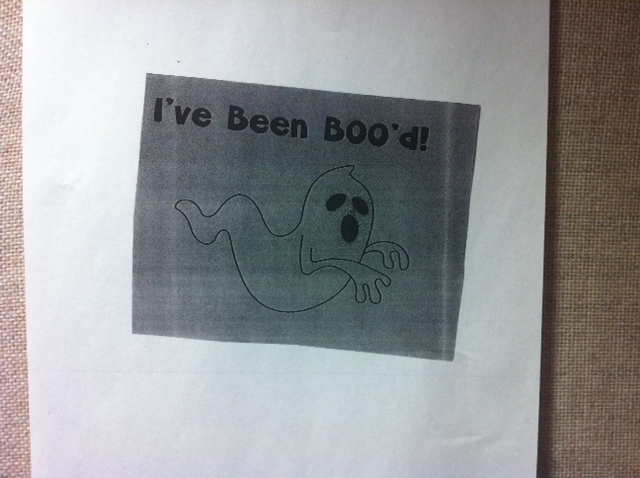 When I got into the office today, I counted 6 more BOO signs so that now 8 total people in the office have been BOOd so far. 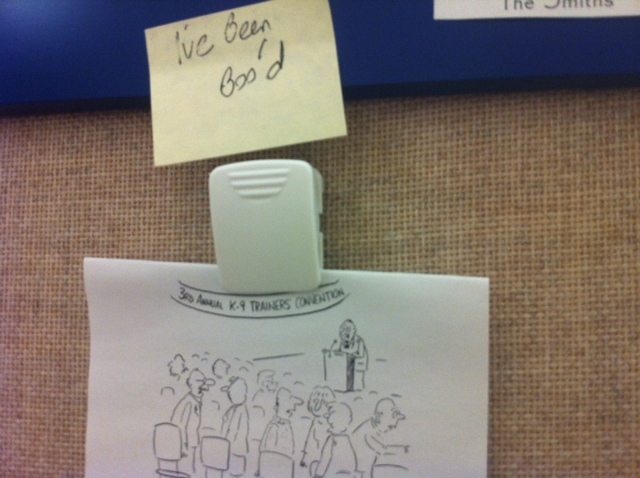 I made special instructions to better fit the office environment (instead of the neighborhood). The spooks are after things to do. In fact, a spook brought this to you. Are yours to keep – Enjoy them both! Will copy it and make it two. None can guess who ‘Boo-ed’ which places. But keep it secret! Hide it well! 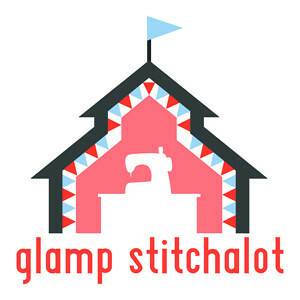 Join in the fun; the season’s here. 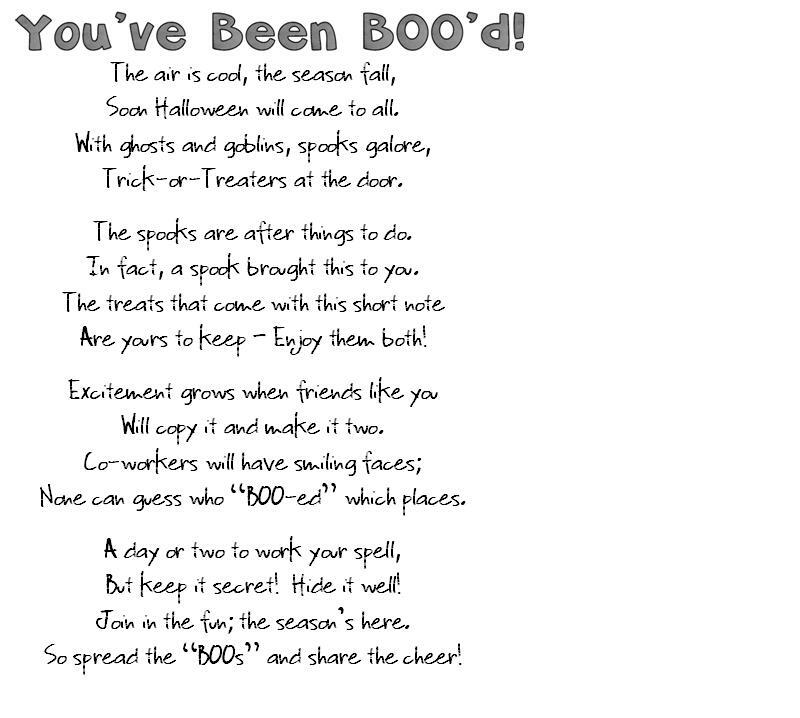 So spread the ‘BOOs’ and share the cheer! <– This is my favorite one. 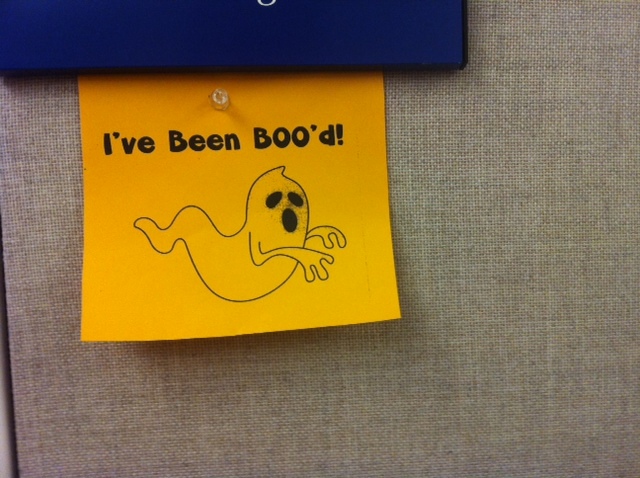 I think it’s funny that she wrote it on a small Post-It and put it outside her cube! I wonder if I’ll get BOOd. This entry was posted in Other Fun Stuff and tagged Boo. Bookmark the permalink.